One hot late-spring morning Tom Klatt, the environmental projects manager for University of California, Berkeley, brings me to a piece of the school's land he's particularly proud of, at the top of Claremont Canyon in the Berkeley hills. The university has logged all the eucalyptus trees here, and is removing other non-native plants in an effort to reduce the risk of wildfires. Update: The city of Oakland has clarified their language in the EIR and has decided to pursue a thinning approach similar to East Bay Parks. Klatt's wearing a business suit, but he’s not above pulling up a few weeds as we walk. He yanks out poison hemlock that's growing along the trail into the canyon. "When we started this, this was a dark and shadowy tunnel of eucalyptus trees," Klatt says. Now, it’s a sun-dappled spot; the hiking trail weaves through oak, bay and redwood trees. Those are native trees, as opposed to the eucalyptus, which are originally from Australia. "We still have a forest, and this forest still can burn, but it doesn't have the contribution of the eucalyptus litter. It doesn't have the very tall trees that can ignite in crown fires and throw burning embers," says Klatt. An unkempt eucalyptus grove is a fire hazard, Klatt says. The oils in the trees burn easily, and when burning leaves and bark catch the wind, they can spread the fire rapidly. That's why, more than ten years ago, the school began removing the eucalyptus from this piece of property, and why it wants to cut down about 50,000 more trees here and in two other locations in the hills. UC Berkeley, along with the city of Oakland and the East Bay Regional Park District, is applying for a $5.6 million grant from FEMA to remove eucalyptus. The project covers almost 1,000 acres on park, university and city land. There are already fire mitigation projects going on here, like the one Klatt showed me, but this grant would expand the work. All told, 100,000 trees or more would be cut under the plan. 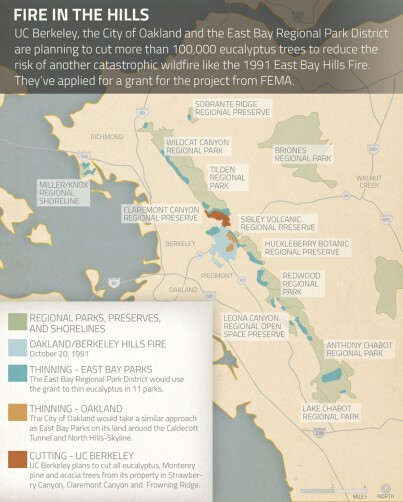 The East Bay hills are susceptible to fire, and whether or not eucalyptus are there won't change that. The summers are dry and hot, and the Diablo winds -- the East Bay's version of the Santa Ana winds -- can whip a spark into a wildfire. The wind was a major player in the 1991 fire. A FEMA report found a host of factors contributed to it being the disaster that it was: lack of coordination between the agencies fighting the fire, lack of water, people getting trapped on the narrow winding streets and wood roofs bursting into flames. But Mike Martin, a battalion chief with CalFire who fought that fire, says the eucalyptus played a role, too. "Early on in the fire, it hit some eucalyptus coming out of the Marlborough Terrace area, and it just put out a huge barrage of burning embers downwind from the fire," Martin recalls. Those embers spread the fire, catching on vegetation and roofs. Martin says a single eucalyptus isn’t necessarily a fire hazard. It's when there's a bunch of them, shedding leaves and bark into heaps on the forest floor, that there can be disastrous results. "When something like that is burning, there is nothing in our arsenal that can compete with it," says Martin. "You're not gonna find any firefighters saying eucalyptus aren’t a problem." "It's unfortunate that the '91 fire is used as justification of this project because what really went wrong is not trees," says Dan Grassetti, the founder of the Hills Conservation Network, a group opposed to the plan. 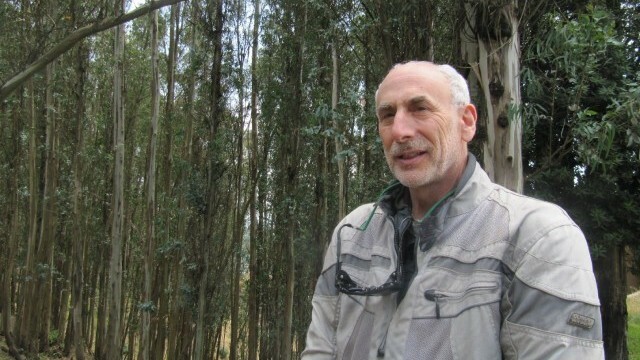 They sued the park district over a related eucalyptus removal project, and is happier with the tactic East Bay Parks is taking now -- thinning the eucalyptus groves on their land, rather than cutting them down wholesale. But Grassetti's group has been fighting UC Berkeley's plan to remove all the eucalyptus on its property since 2005, and has commissioned a report responding to FEMA's draft environmental impact statement on the plan. "The community’s been given a false choice," he says. "The choice that UC's put out there has been, either do what we want to do, or we do nothing. And that is just totally bogus as far as we’re concerned." Grassetti brings me to a spot in Sibley Volcanic Regional Preserve that he thinks is a good example of how to limit fire risk -- and keep the eucalyptus. A red-shouldered hawk calls behind us as we look down a shady hill at a forest of eucalyptus trees. "You know, we're standing here right now, and I would argue that it smells pretty good. And it’s kind of a pleasant environment. It’s shady. It’s cool. 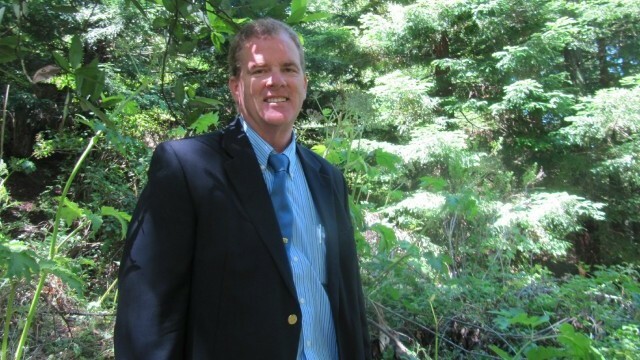 It’s good habitat," Grassetti says. There’s space between the trees, and the ground below them is mostly clear of bark and leaves. "This is probably our ideal of how a eucalyptus grove could be maintained in the hills here." Grassetti argues, if UC Berkeley maintained its eucalyptus groves like this one, they wouldn't be a fire hazard. But Klatt says keeping any of the trees isn’t sustainable. "As long as you leave a single eucalyptus tree here that drops 20,000-plus seeds per year, you can be assured that you’re going to have regeneration of the species. So thinning it doesn’t get you out of the eucalyptus management business, doesn’t get you out of cleaning up the forest floor business and it isn't really a solution." Grassetti and Klatt are on either end of the spectrum here. The Sierra Club has endorsed the plan. But when it comes to cutting the eucalyptus, many community members fall somewhere in the middle. "I realize that the eucalyptus are a fire hazard, and for that reason it’s hard to object to that," says Barbara Bauer. She lives near Claremont Canyon where she walks her dogs, Pal and Tempo. She was there for the ’91 fire; she had to evacuate and watched the hills burn. But she’s not on board with the plan to remove other trees, including acacia and Monterey pine. "I have real feelings for the trees that don’t necessarily have to go, for any good reason." And there are other concerns. Jeannie McKenzie raises goats and chickens in the backyard of her Oakland hills home. "The thing I am most concerned about is these herbicides in our hills at the top of our watershed that is coming down through our properties," says McKenzie. The herbicides would be applied directly to the stumps of the eucalyptus as soon as they’re cut, to prevent regrowth. But Klatt says there would likely be some spraying, too, to control other weeds, which isn’t described in the draft environmental impact statement. Klatt says he’s not surprised the plan’s been so controversial. "We're never going to get a consensus on environmental issues in the San Francisco Bay Area. We pretty much accept that," he says. FEMA plans to begin working on the final environmental impact statement this summer. That will decide what – if any – elements of this plan they’ll fund. Klatt says the money would help them move faster, but either way, they’ll continue cutting, to try to limit the risk of another catastrophic wildfire in the hills.